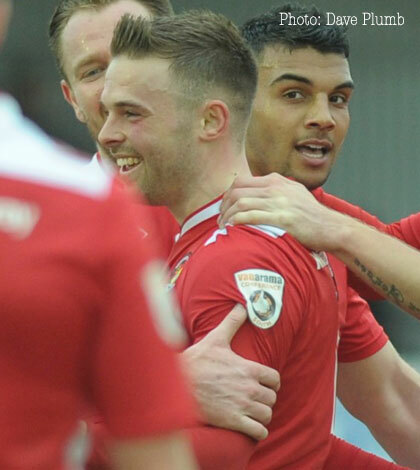 Following his return to action and man-of-the-match performance against Hemel Hempstead Town last week, Matt Godden is just one of the new options for Jamie Day as Fleet head into a quick return with league leaders Bromley. The second half of the Bromley game at Stonebridge Road was notable for the lack of attacking options Fleet had on the bench but Godden’s return brings a new dimension as his side aim for a crucial three points at Hayes Lane. Godden spoke to BBC Radio Kent’s Matt Cole and hopes the pressure is now all on the team with designs on the Conference South title. “There’s pressure when you’re top of the league, Bromley will be feeling it now so it’s up to them to deal with that,” he said. “There’s no pressure on us but if players do feel pressure, it’s our job to deal with that. We were favourites at the start of the season and it’s something we need to deal with. 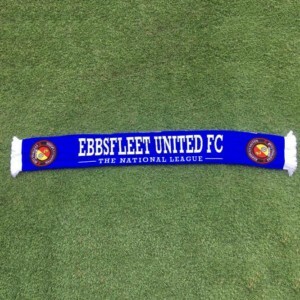 The Fleet front man is delighted to be back in action after a lengthy lay-off and is keen to play his part at Bromley – wherever that part is. “My first game back after the best part of seven or eights weeks out, playing out of my usual position but I don’t mind as long as I play. I didn’t really expect to play last week but obviously given the chance to return so quickly I jumped at it, even if it did mean playing right wing – I didn’t mind that at all. I was delighted to get on the scoresheet but disappointed at the full-time whistle not to have won the game. And while Fleet are fast running out of games, Godden is just pleased to be involved and says the players are doing their level best to pick up as many points as they can. “What Jamie Day’s instilling in, he’s big on team spirit and character,”said Godden. “We know with the dressing room we’ve got that we’re all capable but we need to knuckle down and do the ugly side of the game. We all know we’re good enough to get out of this league, it’s just a matter of when it comes. “I know everyone says it’s a big squad and it is for the league we’re in but it’s a hell of a squad. If you look at some of the people out injured now, when they come back there’s going to be a lot of competition for places. That’s what you need when you’re a club trying to get promoted. You need players that can’t afford to have a bad game because people are chomping at the bit behind them. 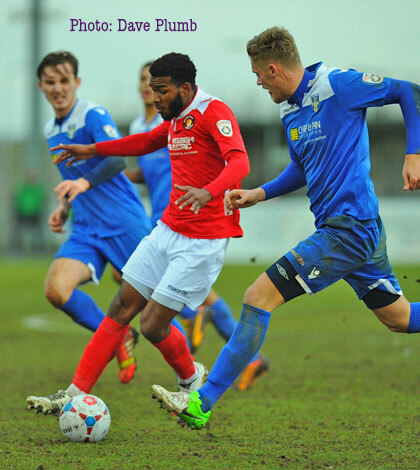 Meanwhile, Fleet boss Jamie Day was pleased to have another player available to help fire the Fleet up the table. “We need to attack teams and get the goals and points. Matt’s movement is very good, he can run in behind and stretch defences for you from the wing or up front. I’m pleased he got his goal last week and we saw what quality he had. “We’re close to the point of needing to win every game, we have to win a good lion’s share of what’s left and we have to go for it. Bromley consolidated their status as current title favourites with two late goals from substitute Jamie Slabber giving them a 2-1 win over Slabber’s former club Sutton in midweek. 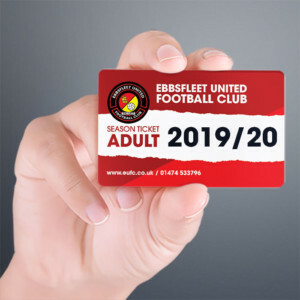 Former Fleet pair Anthony Cook and Ben May are on the injured list, as is Pierre-Joseph Dubois, while Callum McNaughton will deputise for suspended skipper Rob Swaine. Moses Ademola, who sat out the first game, will likely feature in Cook’s place. 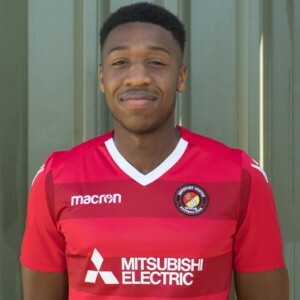 Ademola scored twice at Chelmsford last week, including another late goal – Bromley’s third in four games – and the Ravens are now seven unbeaten in the league. Bromley’s home record is the one chink in their armour as they sit 10th in that particular table, just one ahead of the Fleet. 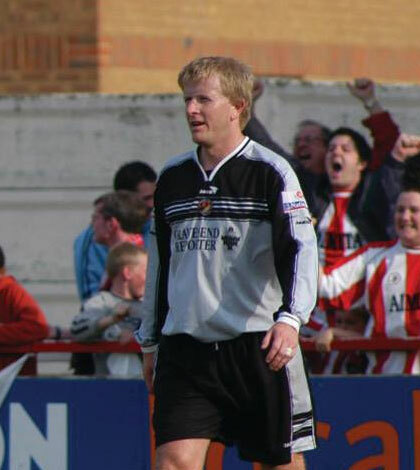 They have won seven and lost five at Hayes Lane, in contrast to 12 wins and one defeat away from home, so Jamie Day’s visitors have every reason to fancy themselves for a measure of revenge.